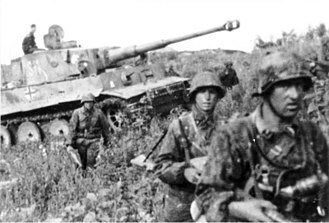 Operation Koltso (Operation Ring) was the last part of the Battle of Stalingrad. It resulted in the capitulation of the remaining Axis forces encircled in the city. 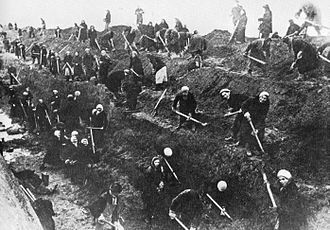 The operation was launched on 10 January 1943 with a mass artillery bombardment of the German positions outside the city by the seven encircling Soviet armies. 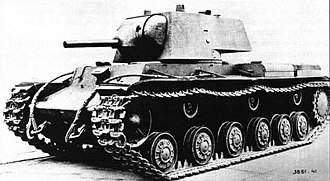 In the first three days, the Soviets lost 26,000 men and over half their tanks. The western half of the Stalingrad pocket had been lost by 17 January. 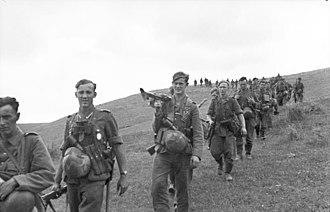 On the 10th, it became clear the main goal was the Pitomnik airfield. "The 44th, 76th and 28th (Motorised) Infantry Divisions were badly hit." The 3rd (Motorised) Infantry Division, deployed on the southwestern corner of the cauldron since the end of Nov. 1942, was ordered to retreat to new defensive positions to avoid encirclement. 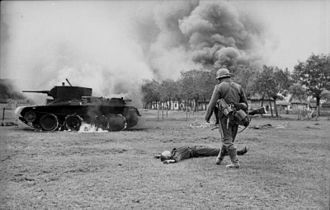 The fighting then paused for four days while the Soviet forces regrouped and redeployed for the next phase of the operation. The second phase of the offensive began on 20 January with a Soviet push toward the airfield at Gumrak. Two days later, the airfield was occupied by the Soviets. Its capture meant an end to the evacuation of the German wounded and that any further air supply would have to be by parachute. Russians in action in 6 km wide on both sides Voroponovo, some with flags unfurled to the east. No way to close the gap. 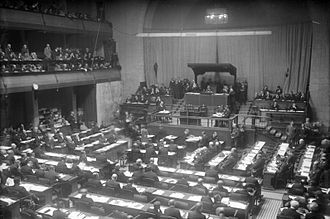 Withdrawal to neighboring fronts who are also without ammunition, useless and not feasible. Supply with ammunition from other fronts also no longer possible. Food at an end. More than 12,000 unprovided for wounded in the encirclement. 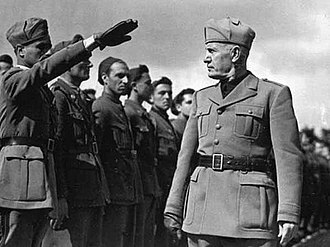 What orders shall I give the troops who have no more ammunition and will be further attacked with heavy artillery, tanks and massed infantry? Fastest decision necessary because dissolution in some places already started. Confidence in the leadership still exists. The Axis retreated back into the city itself. 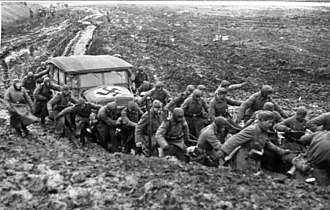 But resistance to the Soviet advance gradually diminished due to the exhaustion of all supplies on the Axis side. On 25 January, LI Corps commander Walther von Seydlitz-Kurzbach told his divisional commanders to decide for themselves on the matter of surrender. He was immediately relieved of his command by Paulus. Seydlitz-Kurzbach later fled the German lines under German fire and personally surrendered to the Soviets. 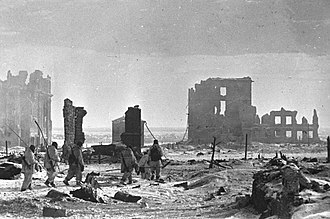 On 26 January, detachments of 21st Army met up with the 13th Guards Division to the north of the Mamaev Kurgan, which cut the Axis pocket in Stalingrad in two. 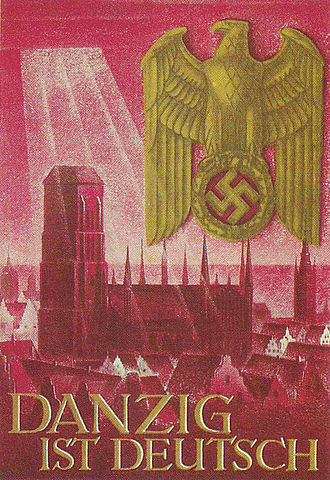 Paulus and many of his senior German commanders were in the smaller southern pocket based in the city center of Stalingrad. 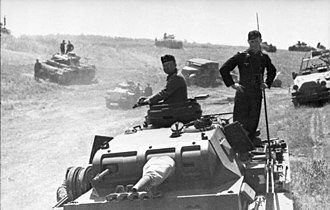 The northern pocket was led by XI Corps commander General Strecker and centered in the area around the tractor factory. 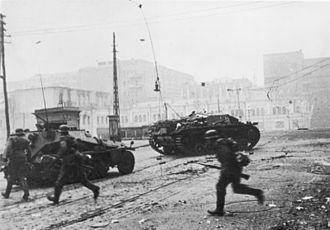 In bitter fighting, the Soviets gradually cleared the city center. 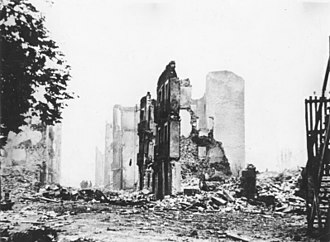 By 31 January, German resistance in the southern pocket was confined to individual buildings. 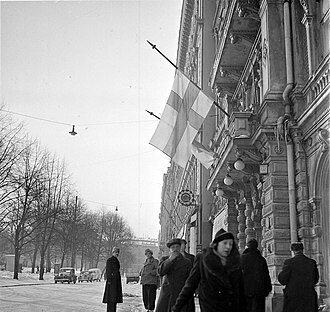 Soviet forces reached Paulus's headquarters in the Univermag Department Store and the remaining German soldiers ceased their resistance. 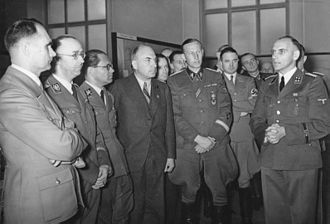 Soviet Staff officers entered the building and negotiated terms with General Schmidt. Paulus refused to participate directly. In Soviet captivity, Paulus denied having surrendered, claiming to have been taken by surprise. 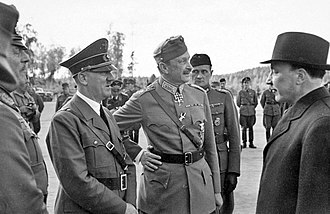 He refused to issue an order to the remaining Germans in the southern pocket to surrender. He also denied having the authority to issue an order for the northern pocket to surrender. The entire Soviet force at Stalingrad now concentrated on the northern pocket. Intense artillery fire was used to reduce resistance. 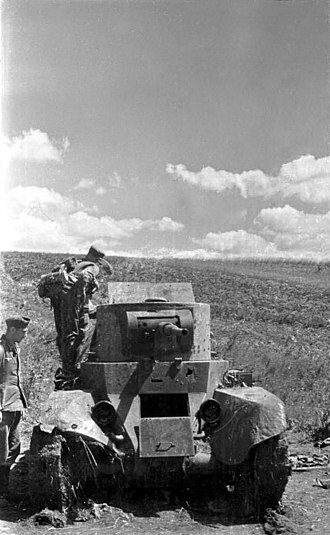 Soviet forces then followed up, destroying any remaining bunkers, often with direct fire at short range from tanks or artillery. 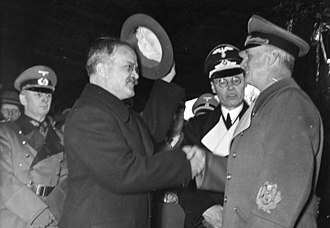 General Strecker continued to resist based on the idea that tying down the Soviet armies at Stalingrad as long as possible would help the German situation elsewhere in the Soviet Union. 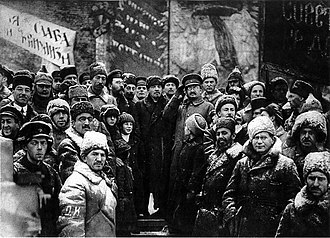 By the early morning of 2 February, Strecker was informed that one of his officers had gone to negotiate surrender terms with the Soviets. He then decided to put an end to the fighting. 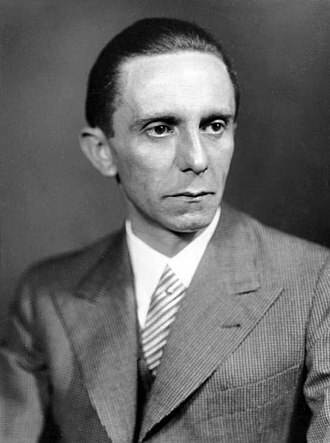 He sent a radio message to Germany, saying that his command had performed its duty to the last man and then surrendered. Organized Axis resistance in the city ended. ^ a b Adam, Wilhelm; Ruhle, Otto (2015). With Paulus at Stalingrad. Translated by Tony Le Tissier. Pen and Sword Books Ltd. pp. 172–173. ISBN 9781473833869. ^ Zhukov, Georgy (1974). Marshal of Victory, Volume II. Pen and Sword Books Ltd. pp. 139–140. ISBN 9781781592915. 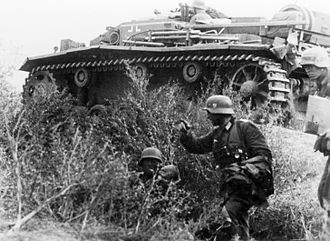 The operations took place in the general area of Rzhev and Vyazma against German forces. 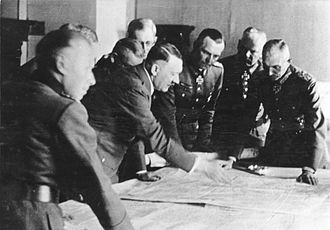 As a result, a salient was formed along the front line in the direction of the capital and it was strategically important for the German Army Group Centre due to the threat it posed to Moscow, and was therefore heavily fortified and strongly defended. The intent was for the 22nd Army, 29th Army and 39th Armies supported by the 11th Cavalry Corps to attack West of Rzhev, and penetrate deep into the western flank of Army Group Centres 9th Army. This was achieved in January, and by the end of the month the cavalry corps found itself 110 km in the depth of the German flank. To eliminate this threat to the rear of the Army Group Centres 9th Army, the cutting of a major highway to Rzhev by the cavalry signalled the commencement of the Toropets–Kholm Offensive. 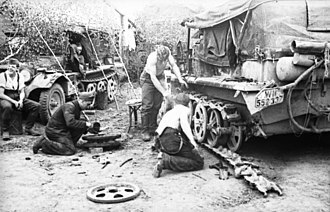 The offensive was conducted in late 1942 and this offensive was conducted by the Western Front against the Wehrmachts 4th Panzer Army and the 4th Army. 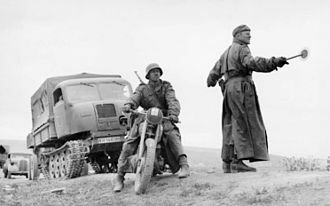 A Soviet airborne operation, conducted by the 4th Airborne Corps in seven separate landing zones, five of them intended to cut major road, in the aftermath of the Soviet winter counteroffensive of 1941–42, substantial Soviet forces remained in the rear of the German Ninth Army. These forces maintained a hold on the forested swamp region between Rzhev and Bely. On July 2,1942, Ninth Army under General Model launched Operation Seydlitz to clear the Soviet forces out, the Germans first blocked the natural breakout route through the Obsha valley and split the Soviet forces into two isolated pockets. 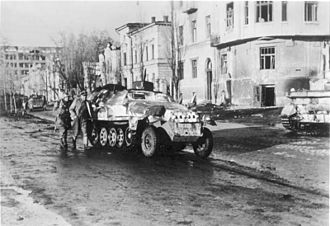 The battle lasted eleven days and ended with the elimination of the encircled Soviet forces, the next Rzhev-Sychyovka Offensive codenamed Operation Mars. 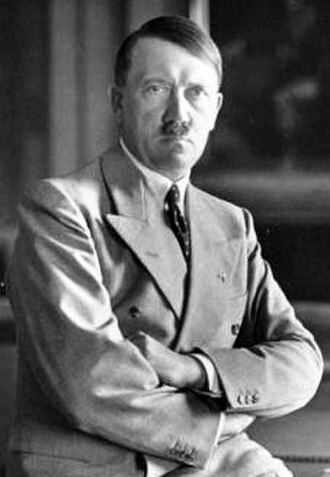 An NKVD double agent known as Heine provided information about the offensive to the OKH as part of the plan to divert German forces from any relief of those trapped at Stalingrad. 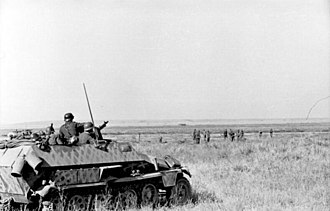 German forces in the salient were eventually withdrawn by Hitler during Operation Büffel to provide greater force for the German offensive operation at Kursk, fighting in the area remained mostly static for 14 months. Volgograd, formerly Tsaritsyn, 1589–1925, and Stalingrad, 1925–1961, is an important industrial city and the administrative center of Volgograd Oblast, Russia. 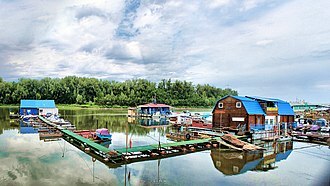 It is 80 kilometers long, north to south and is situated on the bank of the Volga River, after which the city was named. 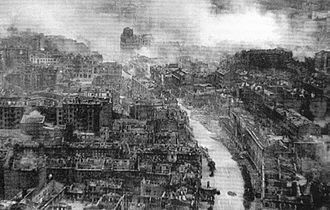 The city became famous for its resistance during the Battle of Stalingrad against the German Army in World War II and it is often regarded as the largest and bloodiest battle in the history of warfare. Although the city may have originated in 1555, documented evidence of Tsaritsyn located at the confluence of the Tsaritsa, grigori Zasekin established the fortress Sary Su as part of the defences of the unstable southern border of the Tsardom of Russia. The structure stood slightly above the mouth of the Tsaritsa River on the right bank and it soon became the nucleus of a trading settlement. In 1607 the fortress garrison rebelled against the troops of Tsar Vasili Shuisky for six months, in 1608 the city acquired its first stone church, St.
John the Baptist. At the beginning of the 17th century, the garrison consisted of 350 to 400 people, in 1670 troops of Stepan Razin captured the fortress, they left after a month. In 1708 the insurgent Cossack Kondraty Bulavin held the fortress, in 1717 in the Kuban pogrom, raiders from the Kuban under the command of the Crimean Tatar Bakhti Gerai blockaded the town and enslaved thousands in the area. In August 1774 Yemelyan Pugachev unsuccessfully attempted to storm the city, in 1708 Tsaritsyn was assigned to the Kazan Governorate, in 1719 to the Astrakhan Governorate. According to the census in 1720, the city had a population of 408 people, in 1773 the city became the provincial and district town. From 1779 it belonged to the Saratov Viceroyalty, in 1780 the city came under the newly established Saratov Governorate. In the 19th century Tsaritsyn became an important river-port and commercial center, the population expanded rapidly, increasing from fewer than 3,000 people in 1807 to about 84,000 in 1900. The Arctic Circle defining the midnight sun encompasses the Atlantic Ocean from the northern edge of Iceland to the Bering Strait. 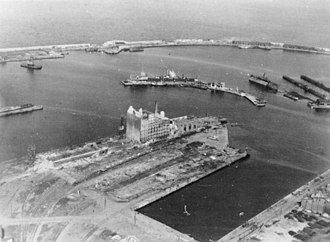 The area is considered part of the Battle of the Atlantic or the European Theatre of World War II. Pre-war navigation focused on fishing and the ore trade from Narvik. Soviet settlements along the coast and rivers of the Barents Sea, the Soviet Union extended the Northern Sea Route past the Taymyr Peninsula to the Bering Strait in 1935. 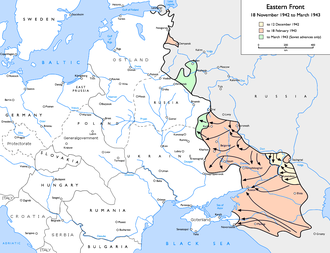 The Winter War opened the northern flank of the front of World War II. Arctic naval presence was initially dominated by the Soviet Northern Fleet of a few destroyers with larger numbers of submarines, the success of the German invasion of Norway provided the Kriegsmarine with naval bases from which capital ships might challenge units of the Royal Navy Home Fleet. Soviet convoys hugged the coast to avoid ice while German convoys used fjords to evade Royal Navy patrols, both sides devoted continuing efforts to minelaying and minesweeping of these shallow, confined routes vulnerable to mine warfare and submarine ambushes. German convoys were typically screened by minesweepers and submarine chasers while Soviet convoys were protected by minesweeping trawlers. A branch of the Pacific Route began carrying Lend-Lease goods through the Bering Strait to the Soviet Arctic coast in June,1942. The number of cargo ship voyages along this route was 23 in 1942,32 in 1943,34 in 1944. Total westbound tonnage through the Bering Strait was 452,393 in comparison to 3,964,231 tons of North American wartime goods sent across the Atlantic to Soviet Arctic ports. A large portion of the Arctic route tonnage was fuel for Siberian airfields on the Alaska-Siberia air route,6 September 1939, Bremen was the first of 18 German merchant ships to take refuge in Murmansk after avoiding British naval patrols in the Atlantic. 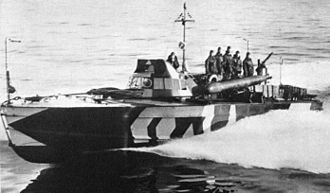 30 November 1939, The Winter War offensive against Petsamo was supported by Soviet Northern Fleet destroyers Kuibishev, Karl Liebknecht, April 1940, Operation Weserübung included an invasion of Narvik by troops embarked aboard ten Kriegsmarine destroyers.